The Online Photographer: To Print or Not to Print? An anonymous commenter on an earlier post remarked that he never prints his digital images, preferring instead to use the Web as the exclusive destination for his work. He wondered how many others do the same. I wonder, too. Personally, I consider a print the final destination for a good image. It's the only form that presents a long-lasting and accurate representation of the photographer's intentions. But how many peoples' vacation photos, for instance, still end up as prints? The rapid and pervasive acceptance of camera phones, online sharing, and "publishing" to a CD or DVD has undoubtedly increased the percentage of digital images that are never printed. I don't know hard statistics of the number of digital photos that ultimately meet paper versus those that never incarnate to the physical world. But I do recall reading an extensive paper prepared by Kodak several years ago that highlighted the lack of basic, accessible snapshot printing facilities for digital photographers. The premise of the paper was that lack of simple printing services for digital photographs (akin to what people used to pick up at the drugstore) represented a significant barrier to broader consumer acceptance of digital cameras. The paper represented part of the business plan foundations for Kodak's initiative to extend its "Easy Share" digital photo system to push-button print kiosks and other similar simple consumer printing facilities in retail locations. It's been very successful, particularly with women, who generally aren't interested in geeking-out just to print pictures of the friends, travels, and family. Right/wrong, good/bad, virtuous/scandalous, artfulness/laziness...these are not judgments that I would make concerning the manner in which someone chooses to apply their images. Photography is a personal activity of relaxation for most people. If printing does not enhance that experience for someone, why should they pursue it? The fact is that today the Internet provides a medium for photographers to present facsimiles of their images (albeit in low resolution, small sizes, and limited and/or unpredictable color gamuts) around the world instantly. If that proposition is most appealing to some people, more power to them! I don't print. I intend to print whenever I have an image I want to have on paper - it just hasn't happened since I got my first digital camera years ago, and I mostly don't see it happening in my future either. If I have a print - a nice, large, print looking exactly like what I want the image to look like - well, what do I do with it? I have no desire to hang it on a wall, and I can look at the image just as well on my screen as I can on a sheet of paper (in fact, since I edited it on that screen, chances are it's closer to my intended look there than any print can be). And when I want to show it to my geographically dispersed friends and relatives, an email attachement or a link to a webpage is an easy way to do so, whereas a physical print is too inconvenient. I really want to know - what do people who print do with the prints? Stuff them in a box, hang them on their living room wall? With digital I am actuallly glad that I don't need to print my snapshots anymore. Instead I make DVD slideshows with music which is the easiest and IMHO the most beautiful and entertaining way to view snaps! As for the "fine art" side of things, nothing compares to a beautiful print. And the digital darkroom has taken color printing to a whole new and more accessable level. As for B&W, I hope there will come some dedicated and affordable printers soon. You win some and you lose some... All in all, I'm a happy digital camper! I print some of it. Most digital photos dissapear in a big pool of possibilities (i.e. DVD). Some make it to my website. And yet another part gets printed on Ilfoflex, which seriously adds a new viewing dimension. That stuff makes your prints shine, man! I bought my first printer one week ago today. The web is a fantastic medium for photographers. Seeing, and showing, work to a large number of people has never been easier. As a photographer, I'm very pleased with the modest traffic my site gets, and I keep an eye on it to gauge how well my images resonate with viewers. Printing photographs is a very different experience. I see, capture, and select my images differently now that a 700x560 pixel image isn't a 'finished work'. But the images that I print are for my own enjoyment, and part of that comes from easily showing my closest friends an image that looks exactly how I want it to look. I know it will never be seen by more than a handful of people, but that's what my `blog is for. The context in which a photograph is seen changes how it is viewed, and what type of photograph will be successful. The web is a fast, competitive medium, that rarely rewards the subtleties of a larger image. A printed image, hung in the home, can be contemplated at leisure and need to please only a few people to be appreciated. There is a place for everything. Let's not forget that in the pre-digital era a lot of people shot slides and seldom if ever printed them. The concept of taking photos for display rather than printing isn't new, even if the scale of the activity is much larger now and the display mechanisms (Web, photo CD, DVD slideshows) are more diverse. That's not to say prints aren't still useful for putting on a wall or in a scrapbook. It's just that we're transitioning from a time when prints were the only option available to most people to one when many options are easily accessible. Since going digital, the ability not to print has been a good thing. Often when shooting film snaps, I'd have maybe 5 images per roll going into a box, or album, the rest back into its envelope, never to be seen again. I don't know if it is laziness, but I don't have as many prints as I used to. I'm starting to use my epson a little more often, and hope to get a large format printer for portfolio pieces. Just for the record, I am an amateur photographer who has photographed primarily in b&w for the past twenty years. I make my own b&w prints. This past year I received a dslr. Even today I use film cameras more than I use the digital camera. Force of habit, probably. Of the hundreds of images taken with the dslr during the past year, I have a dozen 11x14 prints made by a lab. I "publish" images made with both digital and film cameras regularly on the web. 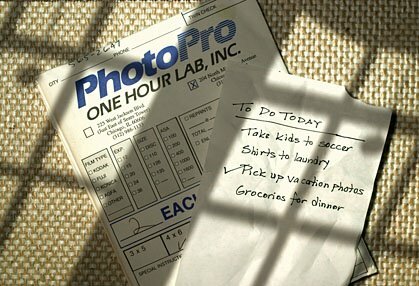 Prints in hand and images posted on the web are two different but related forms of photography. As another person points out, each form has its place. Printing is dead. No more worries about archival. No more need for testing inks or papers. We only need the digital storage and we can move the images from display to display. I've been shooting images for over 45 years. I don't miss the darkroom and I certainly don't miss paying for expensive inks that go in printers that don't always work. What I do miss are the monitors and displays that aren't calibrated. Young people today don't even care about paper products. It strikes me that digital photography in general and digital printing in particular are like that old aphorism about liquor: It makes a good man better and a bad man worse. The abiity to publish work without the commitment level that was previously necessary has enabled many unknown, but very talented, photographers to get their work into the larger world. However, the technology has also created a virtual ocean of mediocre images that heretofore would have been viewed only by the occasional captive audience forced to sit through Uncle Joe's slide show of his vacation in Bismarck, North Dakota. Since much of my work these days is wedding photography, many of my digital files do see life as prints. However, relatively little of my personal snapshots are ever printed. Managing digital files is very convenient, but there is a downside: a digital file has no tangible existence. The one thing I like about film is that it's tangible, and the thing that bothers me most about digital is that it's intangible. It's only an arrangement of ones and zeros until it is given tangible form by being printed. I think it's sad that we don't make more prints, even if only to put them in boxes. Lots of my friends and relatives don't even have a computer. I print and sometimes I print big. I put some of my prints on the wall and some of them in albums. Many of my friends and all of my grandparents don't even have computers. Besides, there is no monitor that I have seen that can match the resolution of even an 8X10 print. DVD slideshows are a fine idea if you have an enormous TV but I don't have any TV and I am not about to cram my friends around the computer in my office to look at my latest snaps. I don't read books on my computer either. I enlarge/print, frame and hang on the wall the ones that I want to keep looking at. If you don't get to look at them, what's the point of taking them? As for archival, the reality is that only museums, artists and pros care much about that. What people used to do is stuff prints in albums and lose their negatives. In the future, people will not make prints then lose the digital files because they won't make backups. If they didn't take care of their negatives, why would they take care of their digi-files? When I shot film, I would put the proofs in albums, review them now and then to decide if one was worth enlarging and framing. I did the equivalent with slides. My computer has replaced the function of those proofing albums and slide projectors, by and large. But for me, the ultimate purpose, the whole point, is to put the image on paper and stick it up on a wall to look at. Not a question for me. I don't sell photos, but FWIW I print (at a lab). Right now I am looking at several photos (8x10) hanging on the wall behind the monitor and enjoying every one of them. In a few weeks I may put them on a different wall and put new photos behind the monitor. At times I could have 30 or 40 8x10 and 8x12 photos plus many 4x6 hanging in my house and near my desk in the office. I can't replace them with 30 or 40 monitors, so I print. As others have mentioned, on-screen viewing doesn't cut it with regards to resolution. Unless you've got some sort of humongous, exceptional system and you've moved your chair back ten feet, the resolution just isn't there. From the daugerrotype on, a capacity for exquisitely fine detail has been a fundamental attribute of photography. Despite the excellent colour and tonality, monitor viewing isn't enough for me. Fine prints and projected slides are MUCH better. In an odd way we've come full circle. Since digital photography doesn't produce a negative, printing becomes more optional than ever. Digital is like daguerreotyping with distribution. I frequently shoot the equesterian competitors from our barn, including my daughter. My postprocessing workflow includes creating a CD of the image files, as well as a set of 4"x6" prints. I provide each competitor a copy of the CD and the prints of showing them. The barn owner uses some of my images on her Web site. I enjoy watching the girls as they look through the prints and discuss how they look. I know many of the prints end up on bedroom walls and in scrapbooks. I wouldn't enjoy the result nearly as much without the prints. The above is a 180 degrees from this scenario: I occasionally turn on my 1D's motor drive and shoot a jumping lession. I normally capture four or five images per jump, capturing between 1,000 and 1,500 images during a one hour lesson. I postprocess the images only to reduce the file sizes so the shoot fits on a single CD. I provide the CD only to the trainer and, as far as I know, none of the images ever see paper. And like others' mentioned, without prints most of the relatives, especially grandparents, would miss being able to show off to their friends by hauling out prints. I rarely print for myself, but printing remains important to me for the joy I see the prints bringing to others. The problem with digital workflows is the inmense amount of images being produced. I am now a lot more productive, but many more images go into digital archival oblivion. outputs on this printer. Though inks and paper are expensive, they are way more cheaper than the smaller format printers. Well, for what it is worth, I work in a one hour lab, and on an average week 30% of our prints are Digital, the rest is film. Yet I'd have to say that over half of the film we do comes from disposible cameras. Of course that data means nothing because I don't know the number of people that use digital in the area. As for me, I'm all about the prints, i'll use our crappy lab for the snaps and send the great pictures off to a pro lab on the net. It's cool to share pictures over the web, but it doesn't feel real to me until I hold that little peice of paper. I suspect many old laptops, TabletPCs or computers like the iMac will soon be repurposed as digital photo frames hanging from walls. Some LCD monitors have a built-in card reader. Sure, the resolution isn't that great, but the contrast certainly blows away anything prints can achieve, for more vivid results. I use an Epson 2100 but as I am not very trained to get wonderful prints I tend to print only snapshots for family. In addition I like really big prints so no way with this printer. Fazal Majid hit the nail on the head. Unlike igor i., who can't imagine 30 or 40 monitors hanging on the walls, the trend towards wall-mount and desktop LCD 'picture' frames will continue, until replaced by something even neater (virtual 3D color displays?) and cost-effective. Despite the fact that the current 'older' generation generally are not computer-geeks, the currently retiring Baby Boomer generation certainly are, and in addition, they are becoming RVers (a lot of them full-timers) by the droves. Think you got room to hang 30 or 40 pictures in the typical (even monstrous) RV? Think again. Usually the single largest display item in these RVs will be the high-definition TV screen, which will be competing with the picture window for the occupants' attention. So, where do you suppose they will be viewing the family picture collection? They certainly don't have the room (or weight allowance) for dozens of print picture albums, either. I'm still a dozen years away from retirement myself (sooner if I can manage it), but I'm already thinking of 'slimming down' the absolute load of junk that we've accumulated as a family living in the same house for 20+ years. That includes the typical dozens of family picture albums, and thousands of slides and negatives I've taken over the years. Going full-time RVing is in our future, the missus and me, accompanied in the summers possibly by our grandkids (or great-grandkids). In the meantime, I've already fallen into the habit of using a spare laptop at work to display those phenomenal shots from the Astronomy Photo of the Day site. The laptop sits on my desk like a virtual picture frame, and gives me a relaxing respite (and reality check) during my work day. I've thought of printing some of them, but with a constantly rotating stock on the laptop display, and changing the ones on my dual 19" desktop monitors background every few days, why bother with the hassle and expense of printing, framing and hanging? The worst part of all this is that I expected to augment my retirement income with fine art print sales. At this rate, and by my own pessimistic view, there won't be any market for such stuff in 10 years' time. Um, there isn't much of a market for that stuff NOW, actually.